It’s Secret Recipe Club day again! 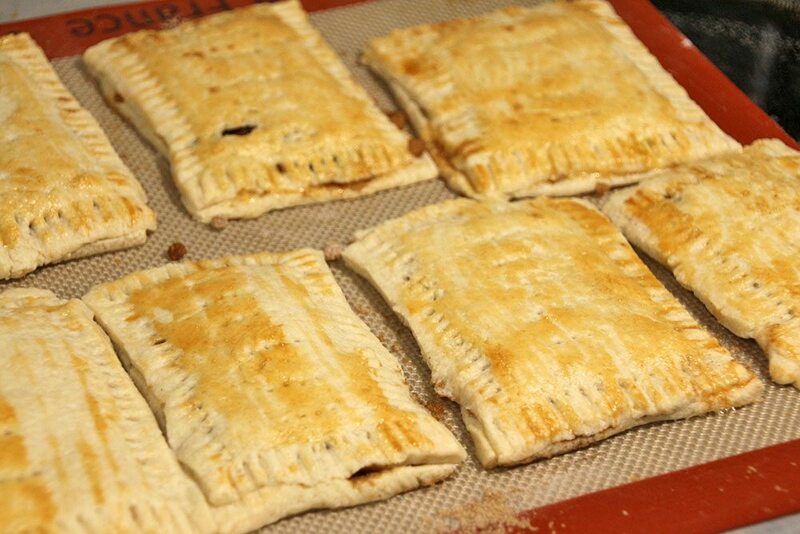 This month, within about 2 minutes of getting my assigned blog, Pumpkins and Peonies, I knew exactly that I’d be making these PopTarts. 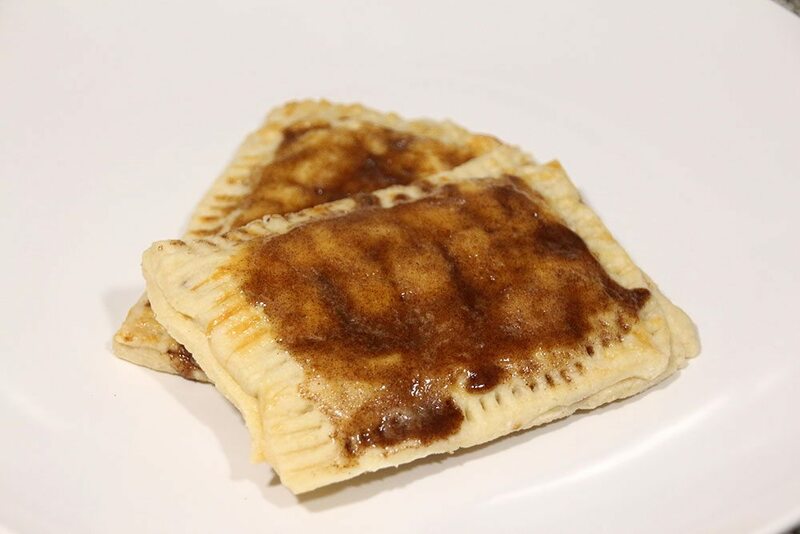 The Brown Sugar and Cinnamon PopTarts were always my favorite flavor growing up, and I was so excited to try making some from scratch. 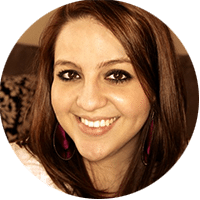 There are so many tasty looking recipes on Jess’s blog, and I can’t wait to try her Cinnamon Roll Muffins and Grandma’s Creamy Baked Macaroni ‘n Cheese. I mean, everything just looks so delicious! So, let’s talk some more about these PopTarts. They taste a lot like real PopTarts, but SO much fresher. 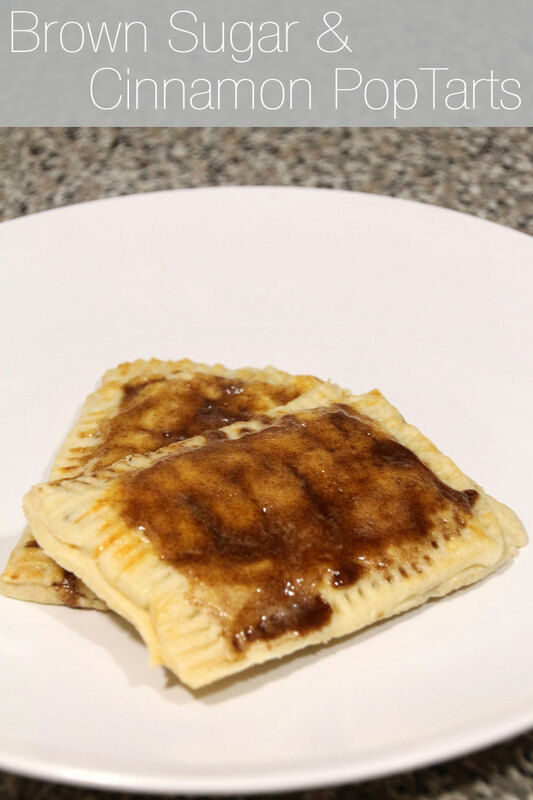 They’re a little time intensive, and it’s a lot easier to just go grab a box of PopTarts from the store, but man, the taste of these is worth the time it takes to make them. So, let’s just all agree that you’re going to make these for breakfast next weekend, ok? You won’t be sorry. A note: Jess’s recipe called for heavy whipping cream in the glaze, but I used milk because Target had not even one container of heavy whipping cream, and I didn’t feel like going to another store. It still tasted good though! 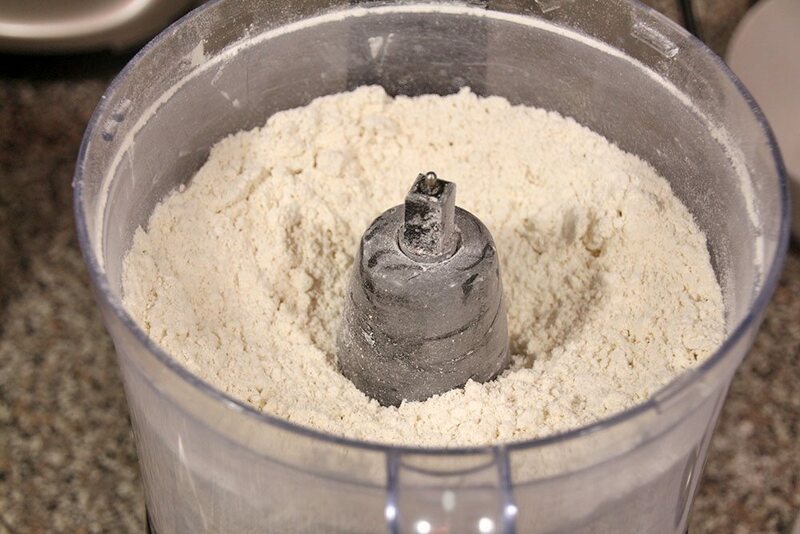 Place the flour, salt and sugar in a food processor and pulse until just combined. 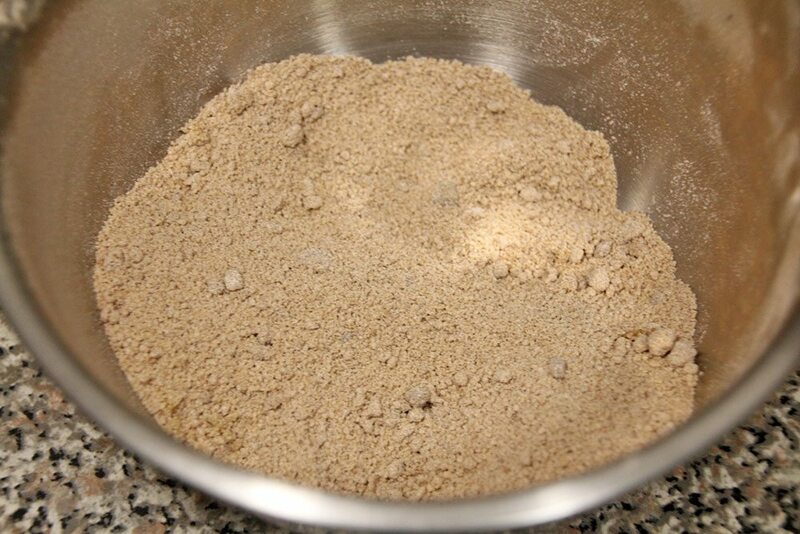 Add in the butter and pulse until it forms a coarse crumb-like mixture. 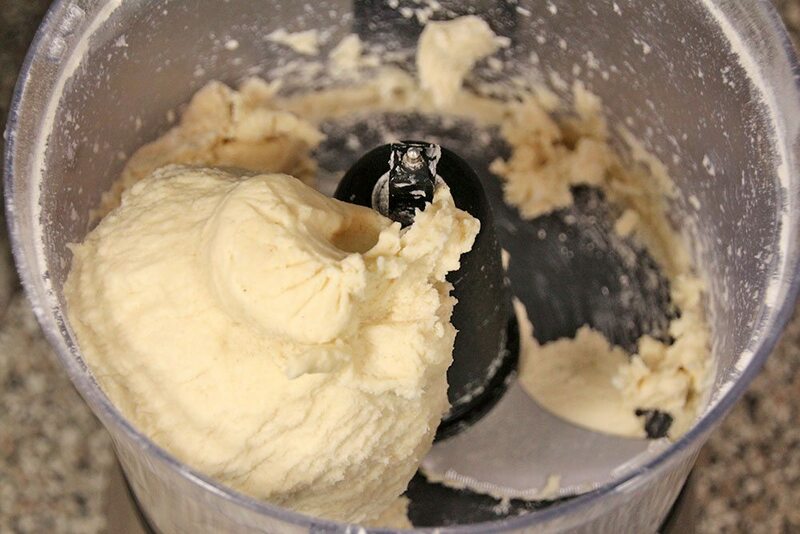 With the food processor on, slowly add the cold water just until a dough forms. Do not process for more than 30 seconds. 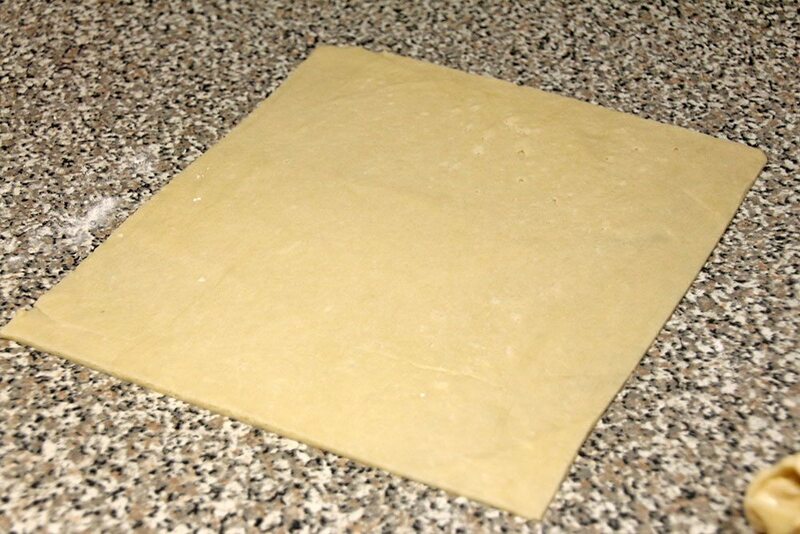 Turn the dough out onto a work surface and divide it in half, wrapping each half in plastic wrap. Refrigerate for an hour. 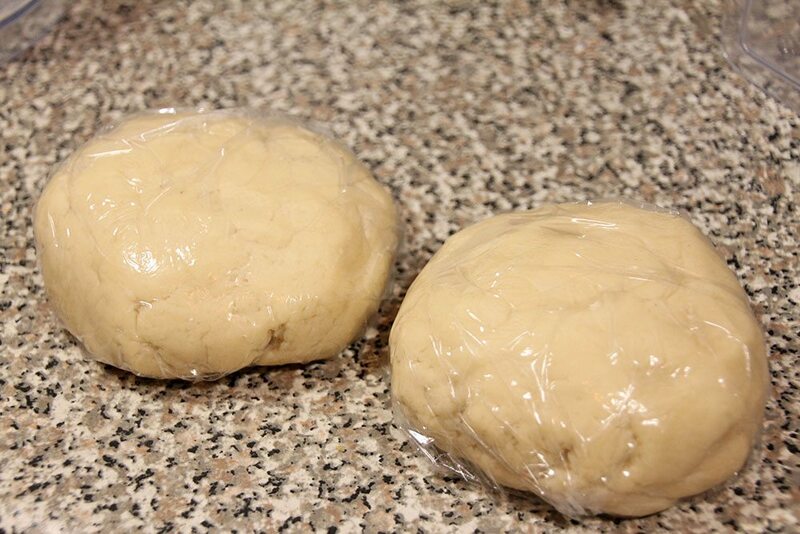 Remove the dough from the refrigerator and allow to sit for 15 minutes. Then, roll out one half on a lightly floured surface to about 1/8 inch thickness. Trim the edges to make a rectangle. 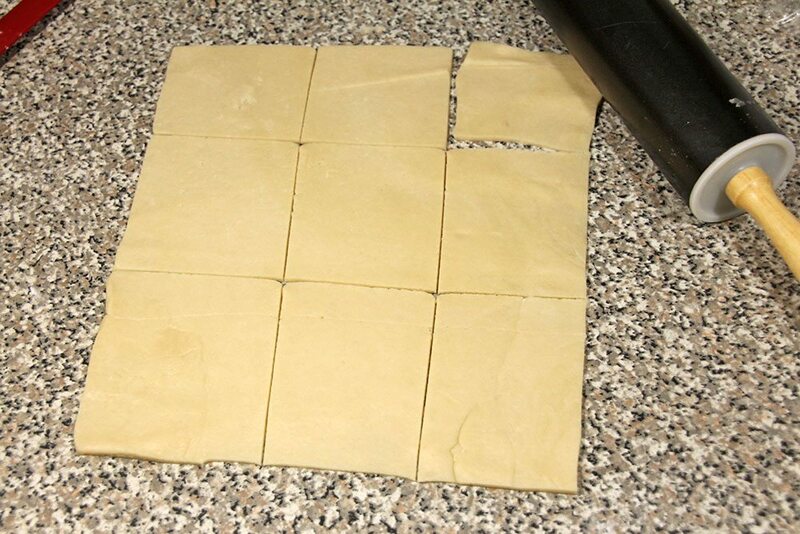 Slice the dough into 9 rectangles and place onto a silicone (or parchment paper) lined baking sheet. Repeat with the second half of the dough to make the top half of the PopTarts. 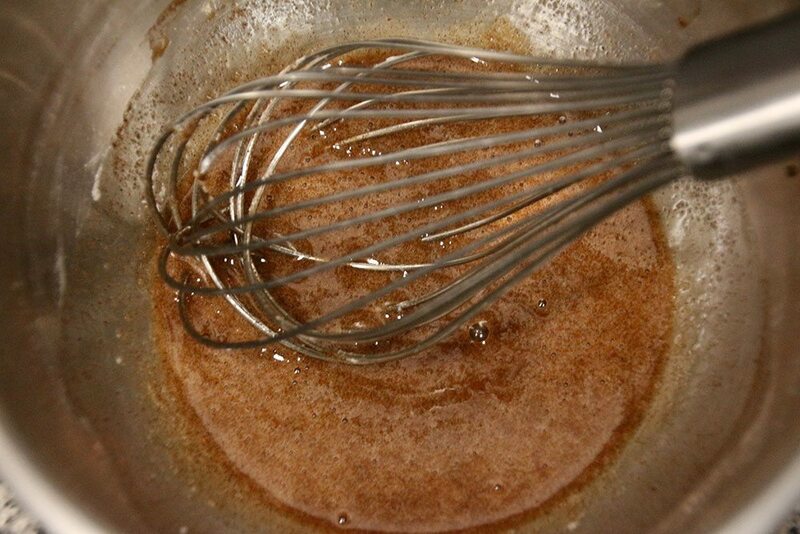 In a small bowl, stir together the brown sugar, cinnamon, and flour, then set aside. Whisk the egg and brush it onto the bottom pieces of the PopTarts. 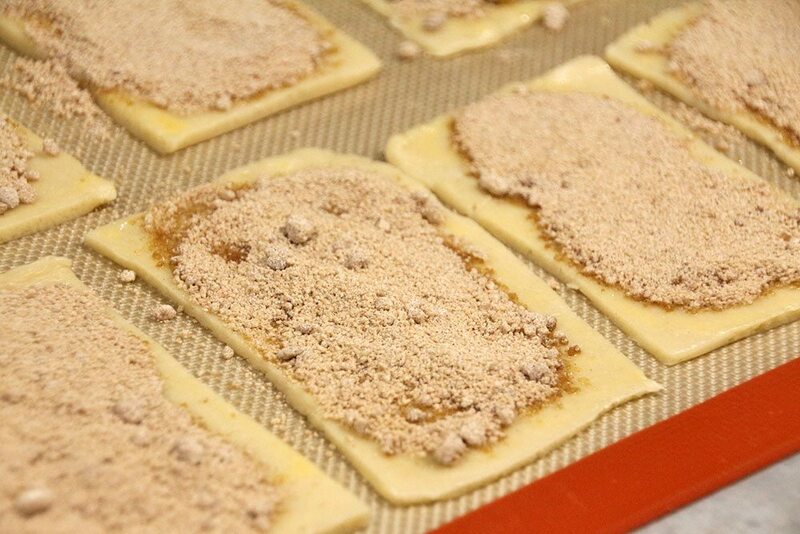 Place a heaping spoonful of the cinnamon filling on each of the rectangles and spread across evenly, leaving a slight edge clear around the dough. 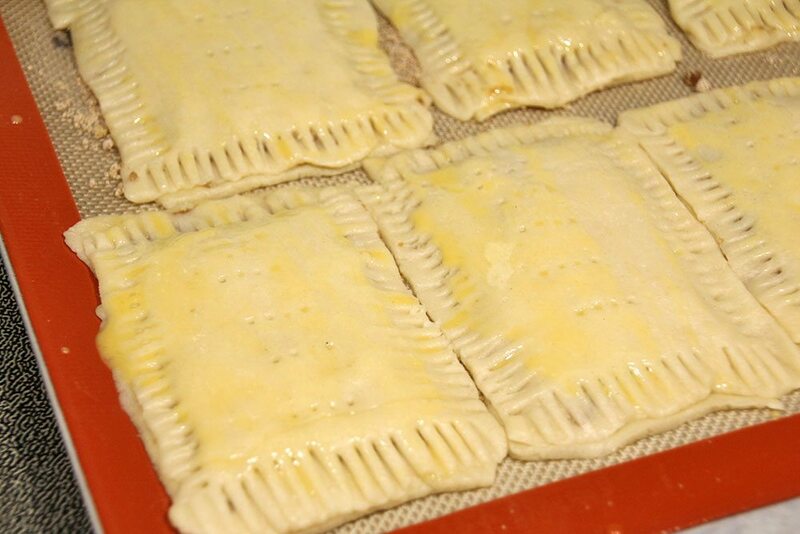 Place the remaining 9 rectangles on top of the filling and press along the edges to seal. Use the tines of a fork around the edges to completely seal. Prick the tops of the PopTarts with a fork to allow for escaping steam while baking. 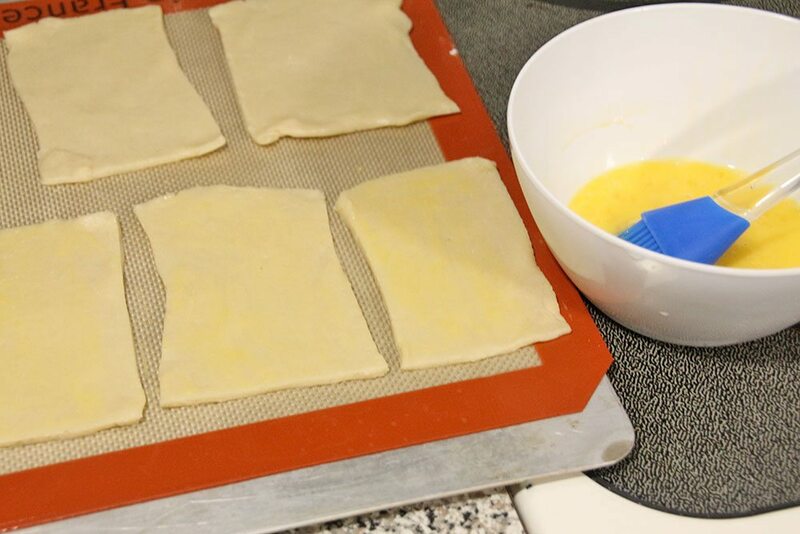 Brush the tops of the PopTarts with the remaining egg mixture. Bake at 350 for 20-25 minutes or until the PopTarts are golden brown. Cool completely on a wire rack. 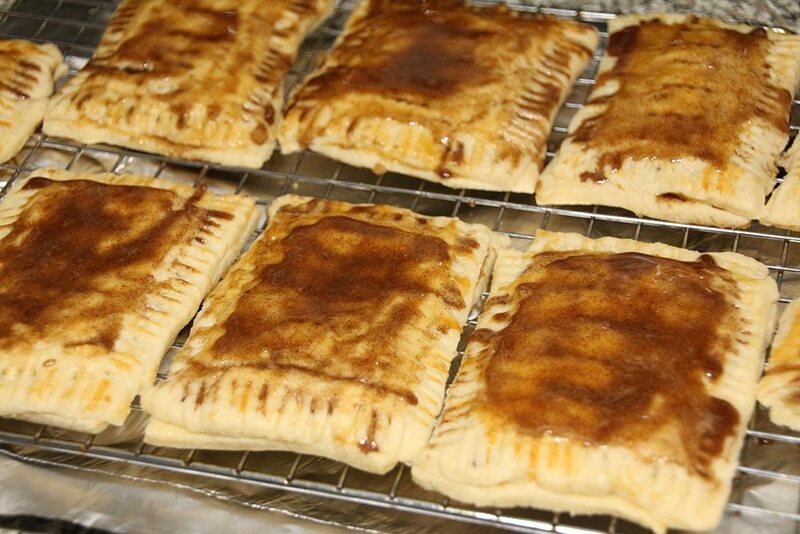 While the PopTarts are cooling, make the glaze. In a small bowl, whisk together the powdered sugar, cinnamon, and milk. Once the PopTarts are lukewarm, spread the glaze over the tops. What’s your favorite PopTart flavor? Yay! This is one of my prized recipes because yes, it’s a little labor intensive but so worth the effort! And I love how you can switch out the filling. Hope you liked the portraits as much as I did! Happy to bake with you in Group C! MMM…. my kids love pop tarts. They would have a great time eating these! I’m definitely going to make these! My husband and I ate a restaurant in Annapolis for breakfast and they had homemade pop tarts but we didn’t get to try them there. YUM!! Homemade pop tarts are so fun. These look delicious. Visiting from SRC C! YUM! 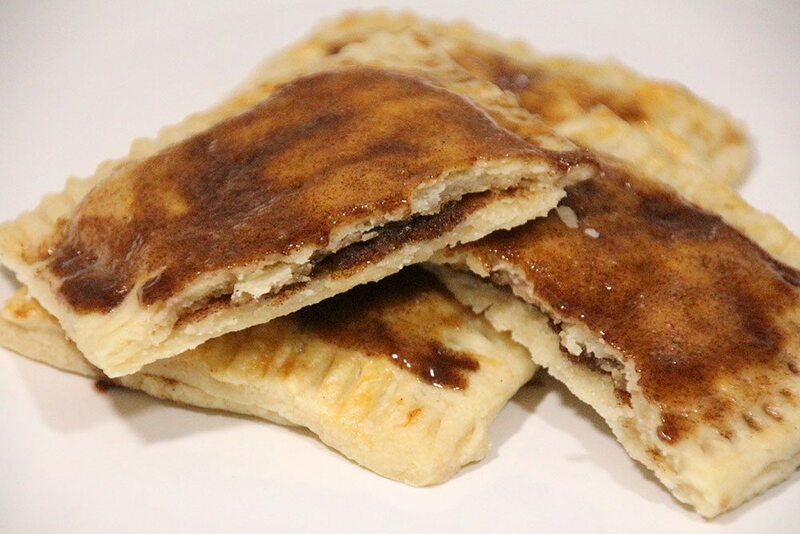 Homemade pop tarts sound amazing! My hubby would flip for these – he loves poptarts! Great choice for SRC group C! YUM! my favorite was always chocolate. 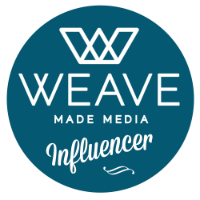 I am pinning this because my daughter would have fun making it.